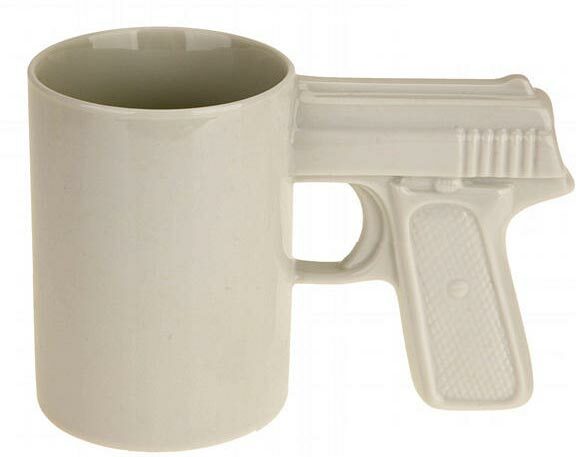 Oh Urban Outfitters, we can always depend on you to bring us ridiculous things like the Gun Mug. I love coffee as many people can attest to. I have way to many mugs and have said I wouldn’t buy anymore, but I might have to make an exception for this one. I am sure you have seen the brass knuckles mug from around the internet, I think the Mug Gun take the cake. Brings a while new meaning to taking a shot of coffee!